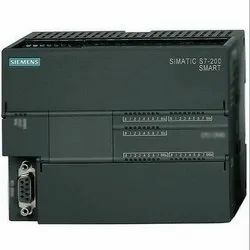 Prominent & Leading Service Provider from Pune, we offer siemens cpu simatic s7 300 plc system, siemens plc, siemens s7-1200, s7 200 siemens smart plc and s7 300 siemens smart plc. 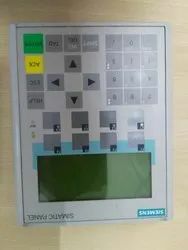 Buy New or User Surplus.SIEMENS PLC Module.part number.6ES7 221-1BH22-0XA0 SIMATIC S7-200, Digital input EM 221, only for S7-22X CPU, 16 DI, 24 V 16 Inputs, 24V DC, 5 V DC, max. It‘s the common interfaces, communication, and one easy-to-use integrated engineering system for both the controller and HMI that makes the difference. 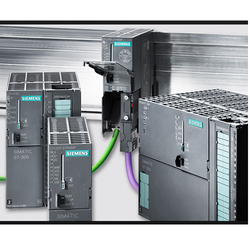 The interplay between the new SIMATIC S7-1200 controller, our seamless range of SIMATIC HMI Basic Panels and the highly integrated SIMATIC STEP 7 Basic engineering system provides a unique integrated automation solution specifically for the compact controller class.